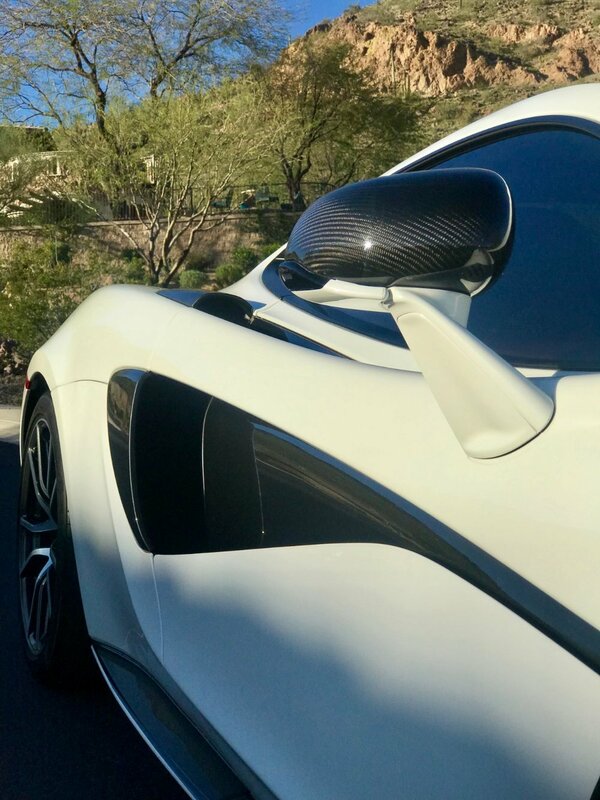 McLaren is blowing everyone away in the automotive world right now by building the fastest and most technologically advanced supercars on the planet. 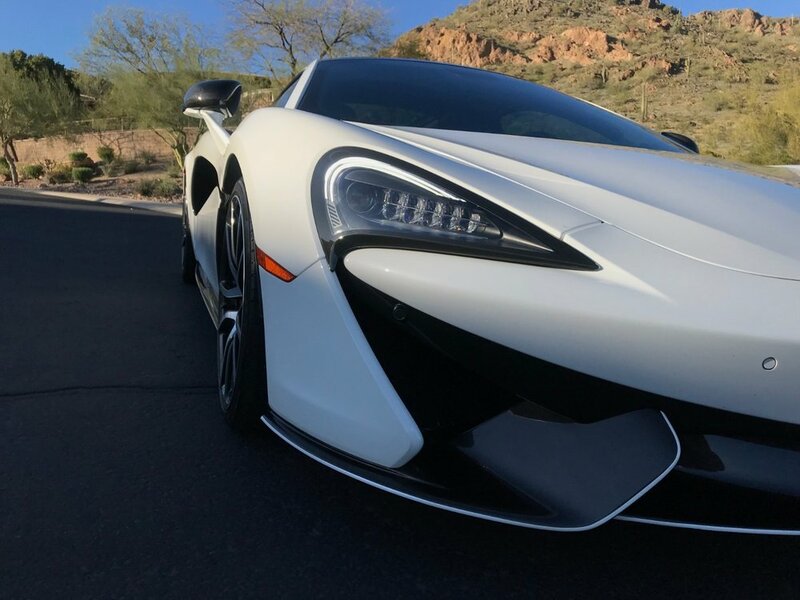 The 570GT is no exception and offers a tremendous value proposition to the larger 650 and 720 variants. 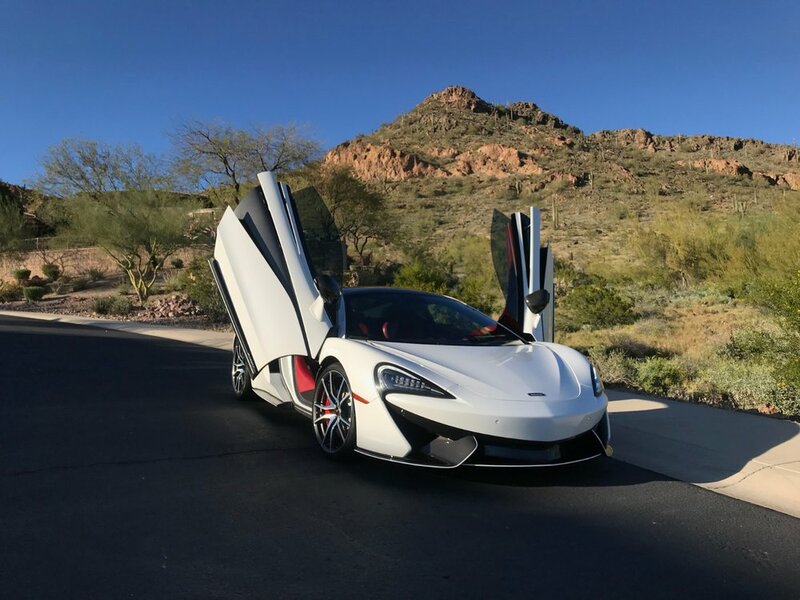 With their party-trick dihedral doors open to the sky, McLaren also blows away the competition in exclusivity and curb appeal. Jump out of a McLaren in front of your favorite weekend hotspot and everyone notices that you’ve arrived. 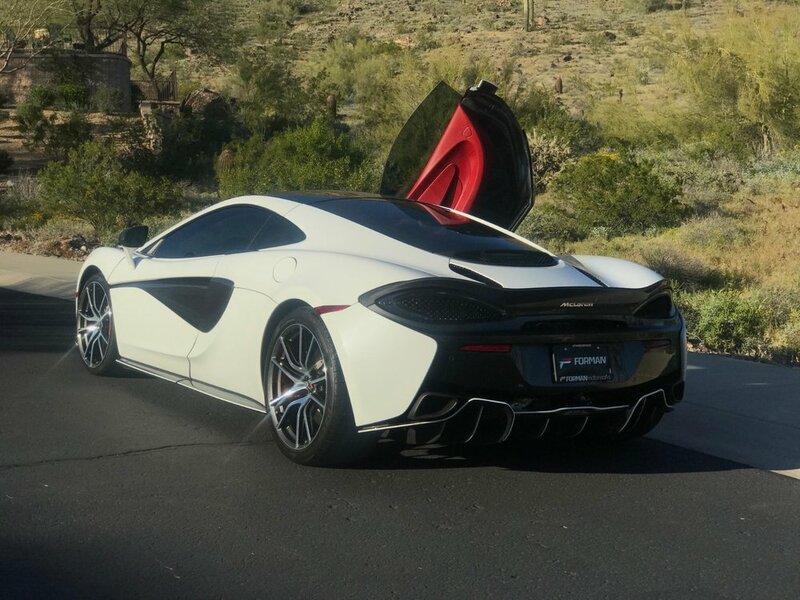 Even getting gas in a 570GT is an event as onlookers gaze in amazement at the spaceship that just arrived. 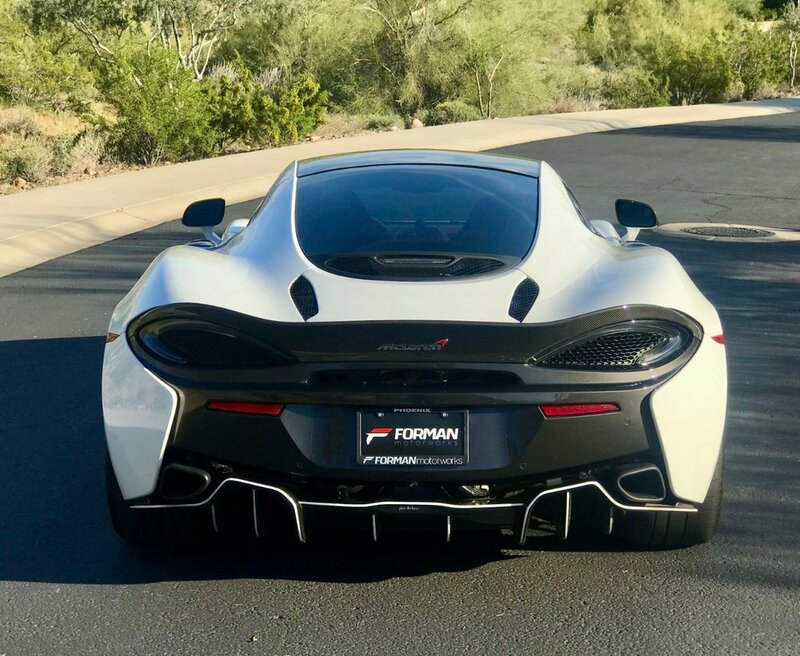 Forman Motorworks is pleased to present this 570GT Coupe, finished in striking Silica White Metallic over a truly exotic looking Harissa Red Nappa leather interior. This CARFAX Certified example has been meticulously maintained since new and is loaded with upgrades. 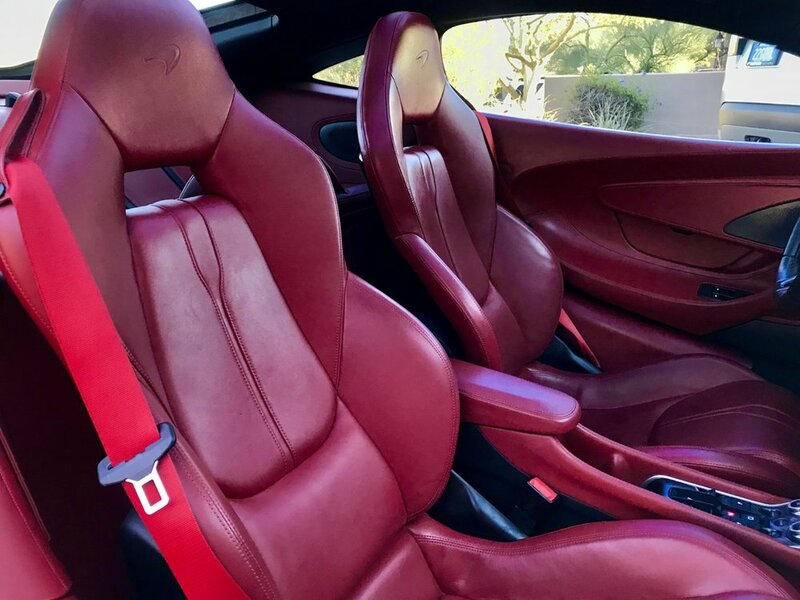 More than $5,000 worth of paint protection/clear-bra film has been professionally installed, covering nearly the entire car, and the wheels are free of curb rash. 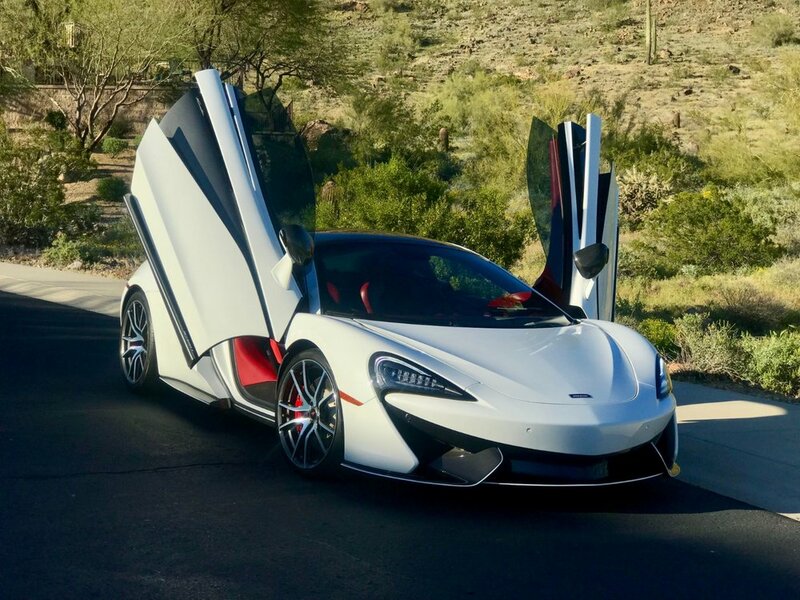 This amazingly engineered supercar is turn-key ready to provide an experience to its lucky new owner. 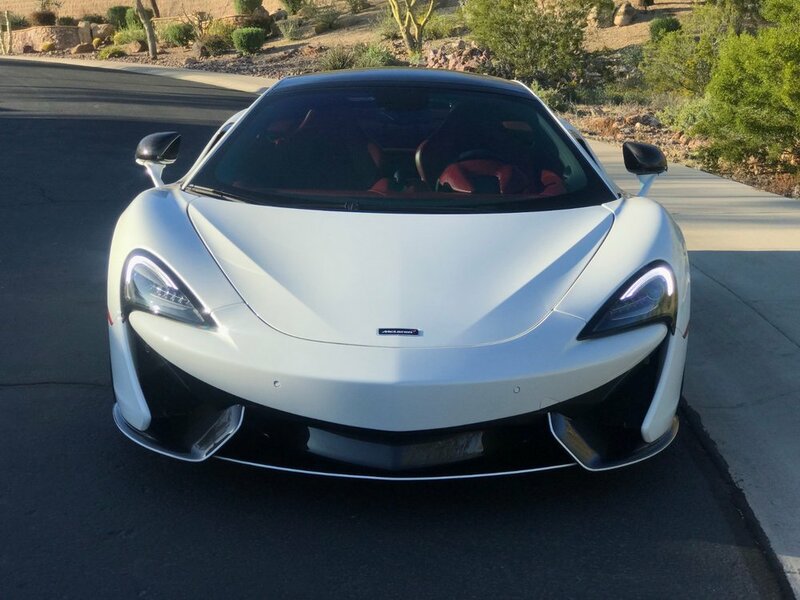 Equipped with a 3.8 Liter twin-turbo V8, this 570 easily achieves 60mph from a stop in three seconds or less. 100 mph arrives in 6.3 seconds, and the car will outrun a Porsche 911 Turbo S to 150 mph. 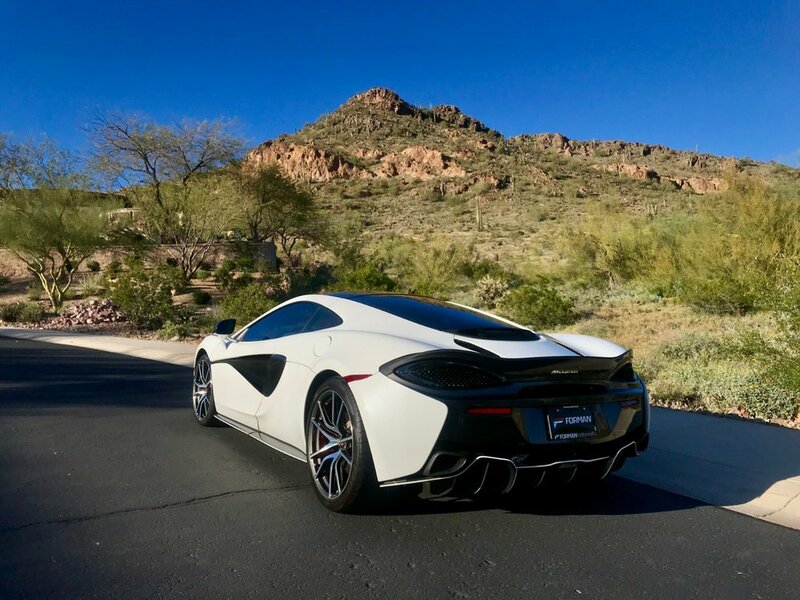 The auto paddle-shift 7-speed dual-clutch transmission snaps off gear changes in milliseconds on its way to an eye watering top speed of 204 mph. The sound? 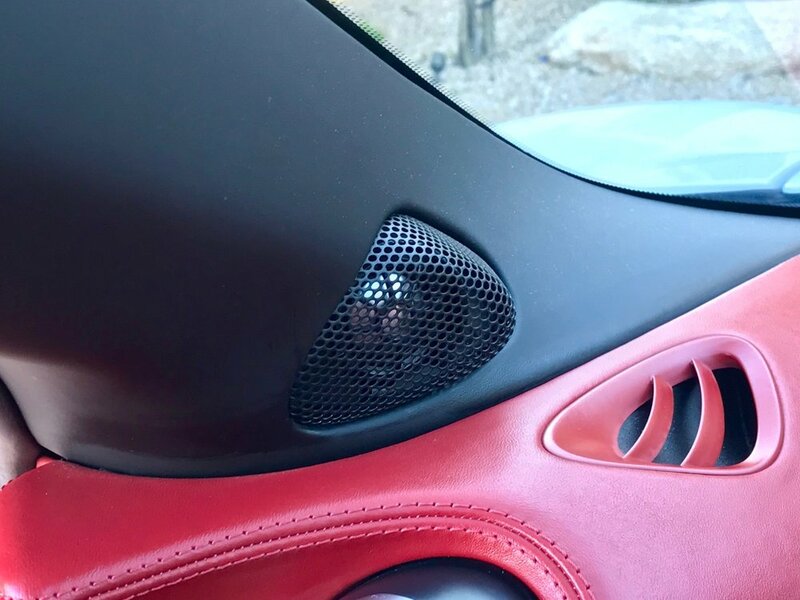 Pure mechanical symphony… exactly what you’d expect from a V8 twin-turbo made by one of the top supercar manufacturers in the world… and flowing through the upgraded factory Sports Exhaust system. 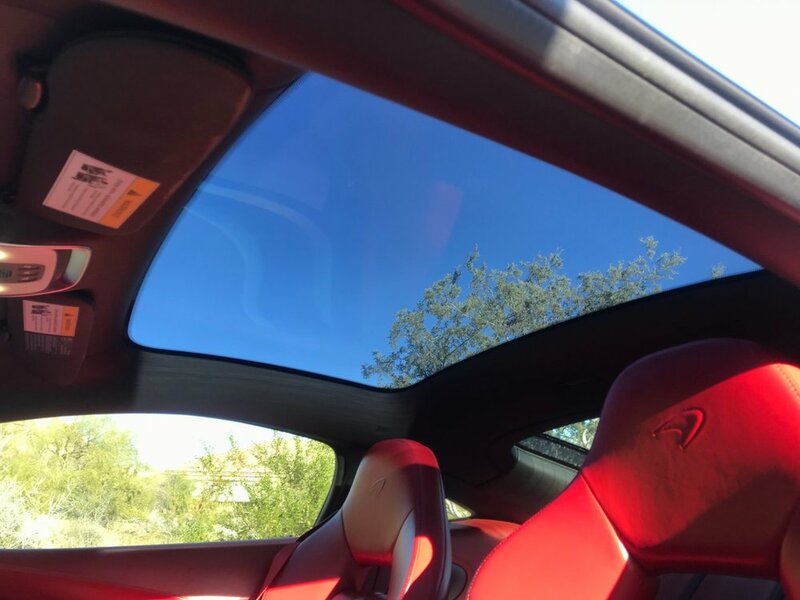 In addition to the fact that the GT model features 3X more cargo capacity than the 570S, due to it’s opening rear glass hatch, the GT has a more compliant suspension and luxurious interior. Lastly, the lines of the 570GT are exceptional with the fast-back rear window gracefully flowing all the way to the rear of the car. 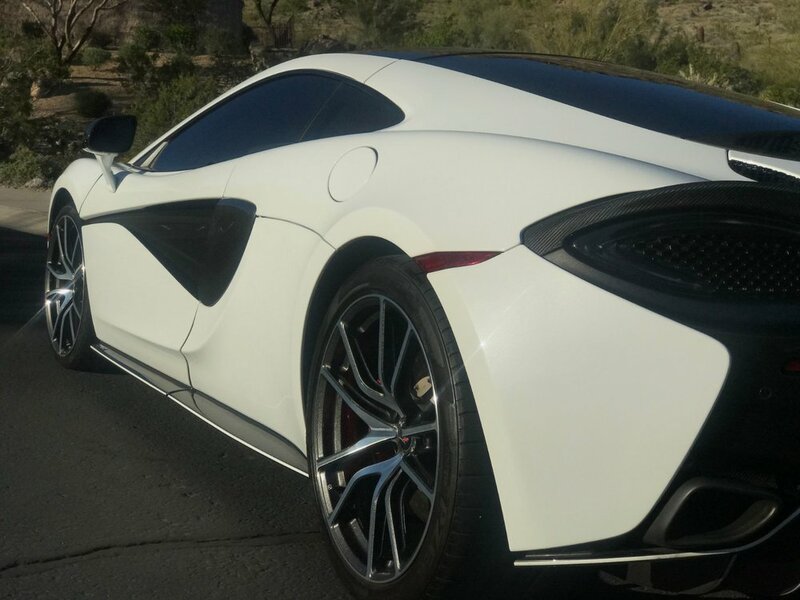 (The 570S features an upright rear window only). 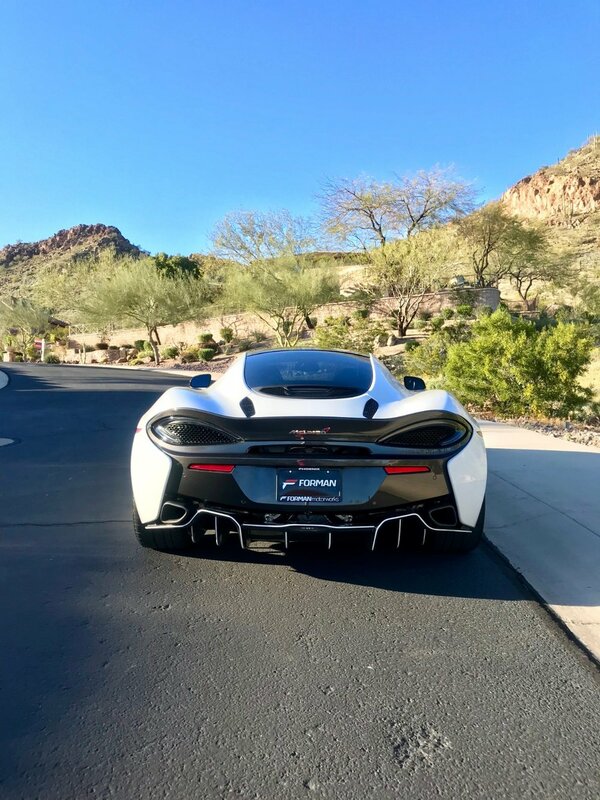 If you’re in the market for one of the fastest and most exotic supercars on the market today, this exceptional looking and driving 570GT must be considered. Feel free to call if you would like to discuss in more detail. I am willing to assist with vehicle shipping and have access to many reliable transport companies. Due to the high volume of email we receive, please call for fastest response to your questions.